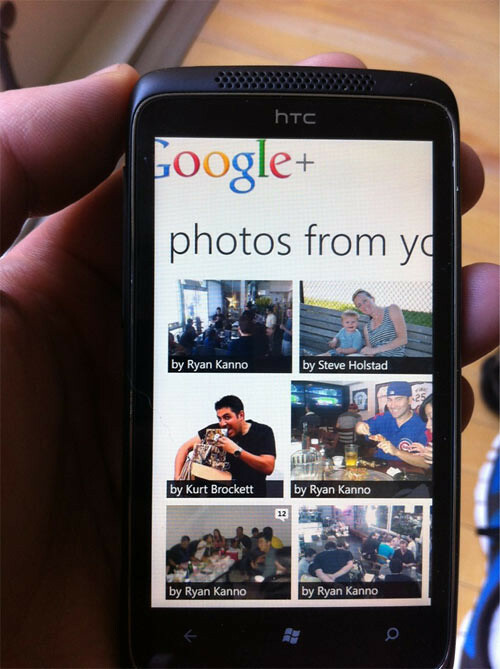 Google+ app has been made available for Android and iOS. It’s just a matter of time when Google decides to make an app for Windows Phone platform and seems like the app will be coming sooner than we thought. Kevin Marshall for Clarity Consulting, a group very familiar with Windows Phone (they are the developers for the Facebook app on WP7), has tweeted a photo showing a Google+ app for Windows Phone. He even used the hashtag #wp7. From the photo he tweeted, we can see that he was using the HTC Trophy and I’m sure everyone knows what’s being displayed on the screen. This is the link to his tweet. Check it out. Now lets cross our fingers and hope the Google+ app will be out as soon as possible.